A substantial open sided pavilion, the Lille measures 4m (13') in diameter and each side is open with trellis work in the bottom quarter of the building. 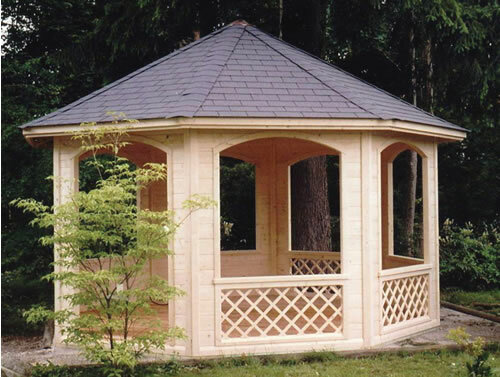 Manufactured from 28mm logs in a substantial frame for stability and longevity, supplied untreated but full varnishing or painting is available as an option. 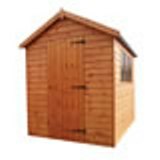 Traditional Standard pent shed 3.05 x 2.44m a sturdy shed with a tongue and groove construction.